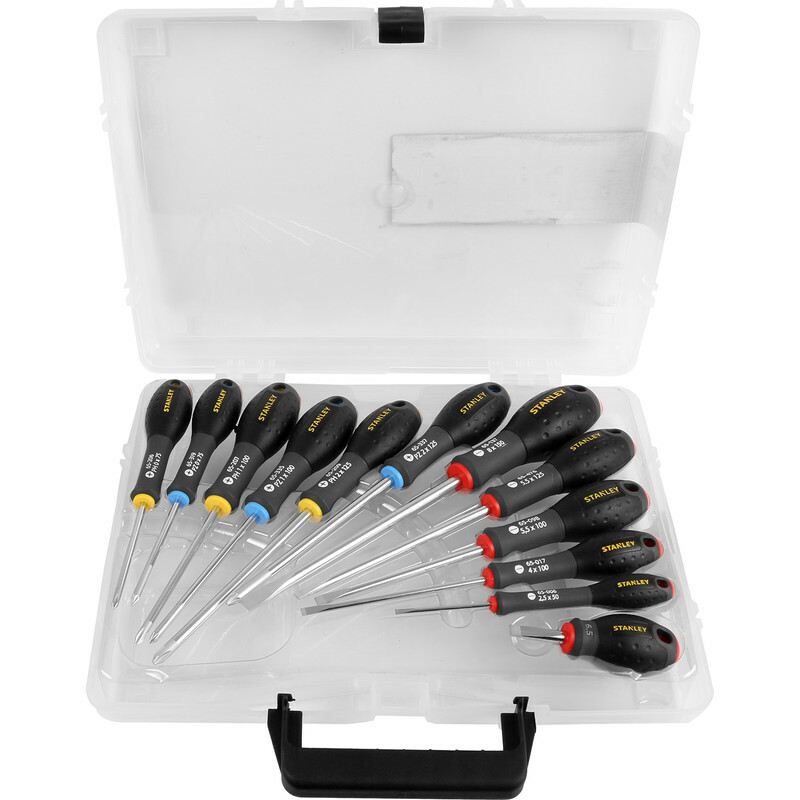 Robust and durable set with slotted, Phillips and Pozi in various sizes. Chrome vanadium steel bar reduces tip breakage. Colour coded ends for identification. 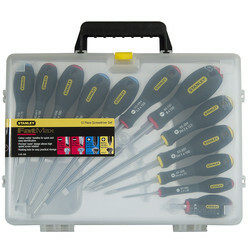 Stanley FatMax Screwdriver Set (12 Piece) is rated 4.0 out of 5 by 2. Rated 4 out of 5 by Pict from Stanley FatMax Screwdriver Set Seems like a good quality screwdriver set,looks like they will last and fit hand ok.Not used them in the real world yet! but they do look like they can handle it.